Sister Mary Prudence Allen, R.S.M., is an American Catholic philosopher and member of the Religious Sisters of Mercy of Alma, Michigan. 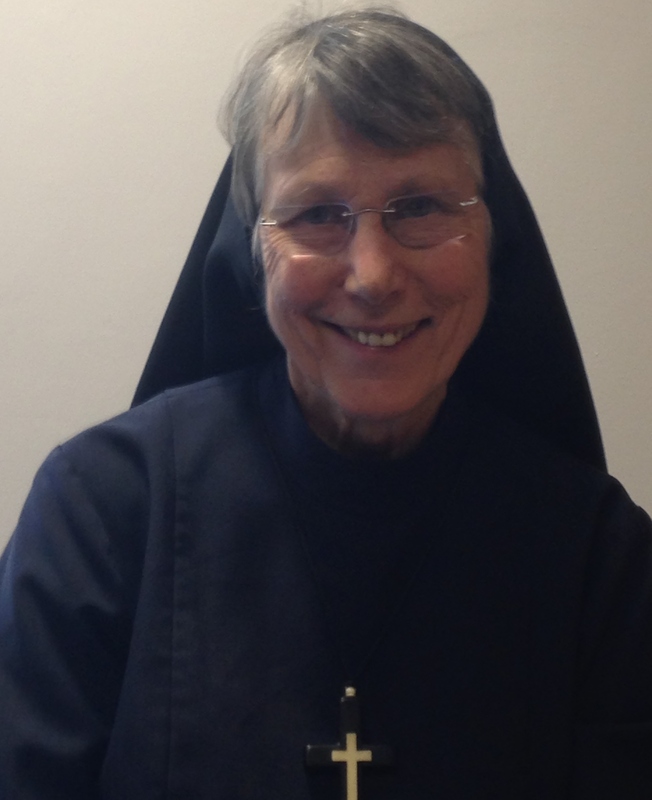 A member of the Catholic chaplaincy team at Lancaster University in England since November 2013, Sister Prudence was previously chair of the philosophy department at St. John Vianney Seminary in Denver. She received her Ph.D. in philosophy from Claremont Graduate School of California in 1967. Born as Christine Hope Allen in Oneida, New York, Sister Prudence’s family descends from a 19th century utopian religious community. She converted to Catholicism in 1964 and married in 1965, raising two sons and teaching university philosophy. Her marriage was annulled in 1972 and she joined the U.S. Mercy sisters in 1983. Sister Prudence's work focuses in particular on women philosophers and on the philosophical concept of womanhood. Her first major book “The Concept of Woman: The Aristotelian Revolution (750 BC- 1250 AD)” was published in 1985, with a new edition in 1997 and two sequel volumes on the historically evolving concept of womanhood being released in 2002 and 2012. She has written one other book and dozens of academic journal articles. Pope Francis included Sister Prudence among the 40 theologians and philosophers he named to the International Theological Commission on Sept. 23. She is one of five women—an unprecedented number—and two Americans named to the commission that was set up in 1969 to advise the pope and Vatican on doctrinal issues. The other American appointee is Father Thomas G. Weinandy, O.F.M. Cap., former executive director of the U.S. Conference of Catholic Bishops Secretariat of Doctrine. On Oct. 23, I conducted the following email interview with Sister Prudence about her career and appointment to the theological commission. How did you feel when you got the news that Pope Francis had appointed you to the International Theological Commission? At first, I felt stunned by a completely unexpected event. But as the reality of this invitation slowly opened before me, I discovered a quiet joy because we Religious Sisters of Mercy take a fourth vow of service and the church has asked for a specific service. As a member of the Commission, will you still have time for your pastoral and academic work, or will this appointment require you to cut back on those things? The time factor is unknown because I have not yet attended the first meeting of the Commission, which is scheduled for December 1-5, 2014. This particular form of service would likely include both some academic and pastoral dimensions in its collaborative and confidential nature. The secular media has emphasized that you are among five women appointees to the commission, recalling that Pope Francis has called for a more profound “theology of womanhood” and role for women in the Catholic Church. How might your work on the Theological Commission promote this goal? My particular formation is as a philosopher, and my research and publication over the years are from the perspective of a Catholic philosopher especially concentrating on the concept of woman in relation to man in the history of western thought. We know from "Fides et ratio" that philosophy and theology are like two wings of the human spirit in its search for truth. It is my hope that my perspective and research will complement the perspectives of theologians on the Commission. Together theologians and philosophers could enrich the understanding of woman in the church more than either perspective could achieve alone. How are these appointments a significant moment for women in the Catholic Church? Major changes take time. Since Pope John Paul II’s appointment of Mary Ann Glendon as head of the Vatican delegation for the Beijing United Nations conference on women, the integration of women into positions of closer collaboration with men in the church has been more apparent at this level. Historically, collaboration has always occurred on the level of individual women and men. I am grateful to Pope Francis and to those who are working for him in the International Theological Commission for this opening to more women on the Commission. For women as for men, this appointment is significant because it is about work for the church, about sharing one’s gifts and talents for the common good through this particular way of service. As someone who has experienced both religious life and marriage, including motherhood, will you bring a unique perspective to your work on the Commission? Each person on the International Theological Commission has a unique and unrepeatable vocational path. No one experience is more valuable than any other one. You were a tenured philosophy professor and mom for many years before deciding to become a nun in 1985. Why did you join the U.S. Mercy sisters? It seemed to me over time that the Lord was asking this of me. Fortunately, in the Catholic Church we have the tradition of spiritual guidance which helps separate feelings from spiritual realities. St. Ignatius’ Spiritual Exercises have a wonderful way to help a person come to a decision about the next step in one’s vocation. I am personally gratefully for having had retreats of this kind along the path of my vocational discernment including early years of religious formation. You’ve written a lot about the concept of womanhood in the history of western philosophy, beginning with Aristotle. Do you consider yourself a feminist philosopher? I consider myself as a new feminist philosopher in the line of Saint Pope John Paul II. By this I mean that I am concerned to help remove obstacles for women’s full development in areas of discrimination, exploitation and violence—a desire that is shared with feminists in other traditions. My way of contributing is through thinking, teaching and writing. In addition, new feminism takes an ontological point of departure from forms of old feminism on the question of the "pseudo-right to abortion." New feminism understands killing an innocent developing human being as inherently wrong. Therefore, a woman is called to defend innocent life, to protect it, to provide for its growth and nourishment both physically and spiritually; the same would apply to a man. In short, it is my belief, as one who promotes new feminism, to welcome into the human community all human beings at all stages of development as they enter into one’s sphere of activity. As a professionally trained philosopher, I accept many Aristotelian principles including the soul/body composite identity of the human being and Aristotle’s claim that natural science is about what is 'always or for the most part' the case. I also reject his errors about the respective identities of the human male as naturally superior to the human female. How would you describe your philosophy or philosophical interests? My interest in the history of philosophy has always been in the human person, as male and female, and in the formation of human community. As a Catholic Christian philosopher, I appreciate Thomistic and Neothomistic developments about the metaphysical structure of the human soul as simultaneously form of a specific organic human body and spirit. I also incorporate phenomenology and existential personalism to describe the dynamic lived experience of being an acting person in the world in communion with others for the common good of all persons. It seems to me that Cardinal Newman’s seven notes or criteria for a true development can be demonstrated both for the soul/body composite identity of a human being and for the integral gender complementarity of a woman and a man. Their original formulations in the book of Genesis and Aristotelian philosophy were developed through the centuries by Catholic authors from the religious, clerical, and lay vocations. My present interest is to provide the steps for this demonstration. As a philosopher, do you expect any challenge in working on a commission of theologians? I hope that it will be very challenging. The complementarity between philosophers and theologians includes the same principles as other kinds of complementarity, namely equal dignity, significant difference, and synergetic relations. It always involves holding to the tension of these principles at the same time as working for their resolution, by applying fundamental Catholic principles in new uncharted paths. In the particular case of my work on the International Theological Commission, I am being invited into a community of theologians. Therefore, I would see my place as one of serving their theological mission. If we follow the principles of Fides et ratio, the ways of doing this service as a philosopher are well described. The particular questions the commission considers will provide the context within which these principles are applied. What are some issues or concerns you bring to the commission? The issues and concerns I bring to the commission are just that—for the members of the commission. There are many levels of particular hopes in my heart related to people, projects, and situations in the world. But most of all I hope personally to be open to the will of God as fully as I am capable each day. What do you hope people will take away from your life and career? I try not to have a specific hope for either of these things. Those will be for others to decide. At the end of my life I hope to see Our Lord Jesus Christ face to Face and to be invited into eternal communion with Him and the communion of saints. What’s your favorite scripture verse and why? My favorite verse is the one which comes alive in me when I am reading it in the present moment. After you asked me to be interviewed for America I thought of many different members of the Society of Jesus, who had helped me through the years in different capacities: as retreat directors, confessors, spiritual directors, offering Masses, and engaging in vigorous discussions about particular philosophical problems. I am very grateful to them and happy to be able to express this gratitude here. I wish to also express gratitude to my own Superior General and to our own religious sisters for their prayerful support. I consider myself as a new feminist philosopher in the line of Saint Pope John Paul II.This is the best example of an oxymoron as I have seen in print recently. Catholic school English teachers should take note.